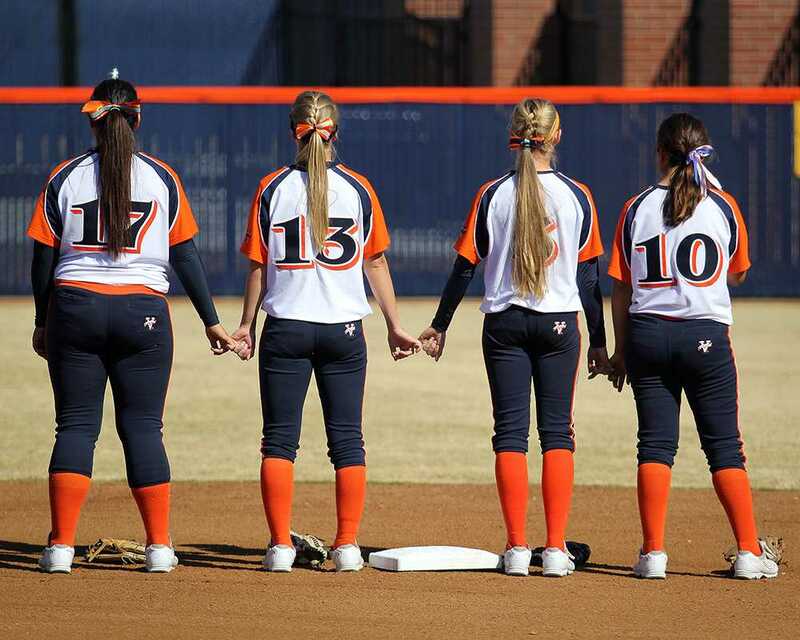 The Cosumnes River College Hawks softball infielders, freshman third baseman Alysia Ortega, sophomore shortstop Alissa Greenhaw, freshman second baseman Amy Pedretti and sophomore first baseman Gabrielle Magana, stand together and link pinkies during the national anthem before their game against Gavilan College on March 1. 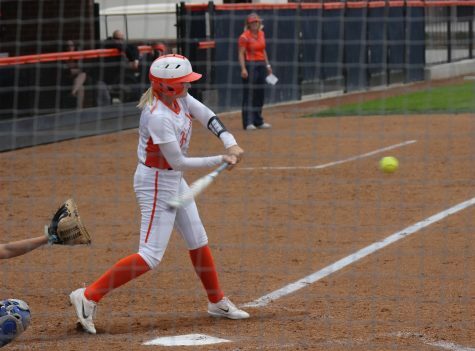 “To be able to keep players after you have a bad season tells you that they still had a good experience and we finished and we learned and we got better,” said softball head coach Kristy Schroeder. 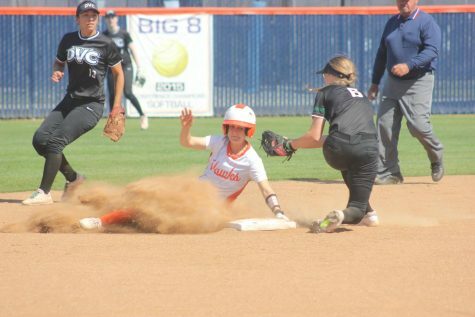 By that standard, Cosumnes River College’s sophomore players had good experiences, as nine out of the 10 players from last season returned to the team, and added to that is a mix of freshman. 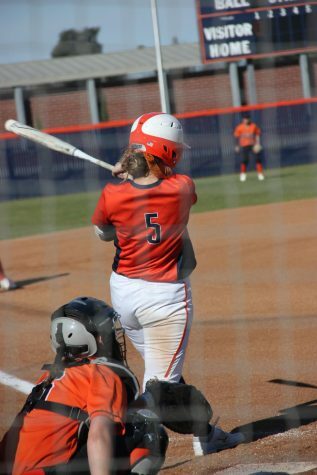 However, the team missed out on achieving its goal of heading into the postseason by a few games. That’s not to say that this season was bad. 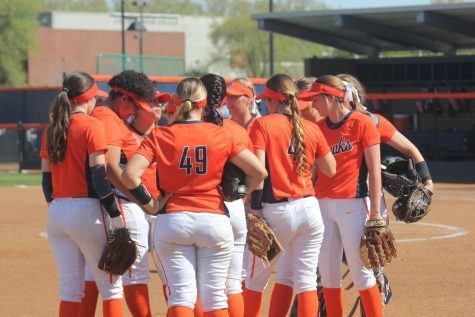 In fact, Schroeder said that she thinks all of the current freshman will return to next year’s team. 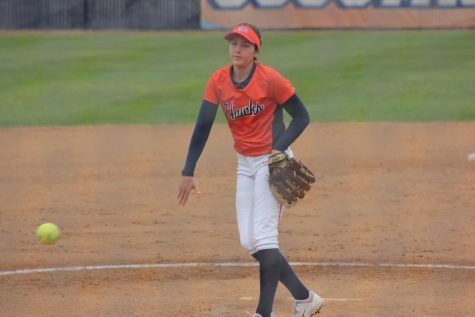 Team captain and sophomore pitcher Allison Barsetti said that she watched the team come together throughout the season and saw her teammates improve, become stronger players and become better prepared for their games. Schroeder said she thought that the team played well and showed improvement throughout the season. “It was fun to see this team grow. I do think we have a lot of good kids on this team,” Schroeder said. Despite the positive outlook on the season, missing out on postseason play was still difficult. The team started the season with a few close losses, but began to win some of the close games towards the end of the season. Schroeder made sure to emphasize the ability of the team to get hits and runs. 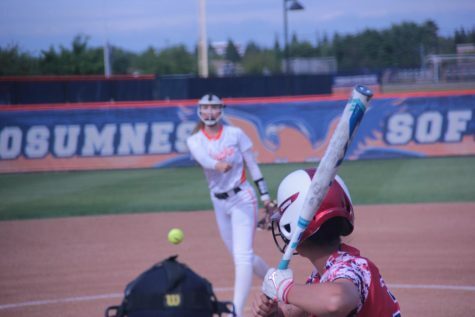 Even in the games where the Hawks would not score, she still said the team was able to hit the ball hard. And pitching is one of the things the coach is looking to work on for the next year. 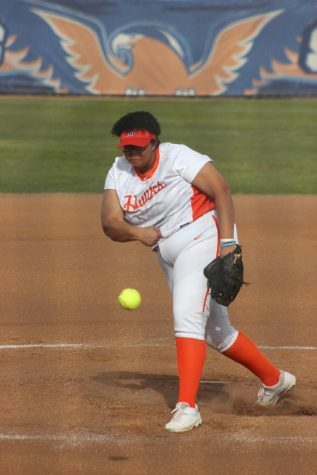 Barsetti did a majority of the pitching throughout the season, but freshman pitcher Jessica Venturelli did her fair share. Barsetti is looking into four-year schools to transfer to, but she still had a message for next year’s team.